The Trump administration has recently been encouraged to consider a plan using private military companies (PMC) to maintain security in Afghanistan. According to Blackwater founder Erik Prince, the plan’s primary external supporter, such a force would include 5,500 personnel and a 90-plane ready-to-use air force. Aside from saving American soldiers’ lives, it would cost the U.S. treasury $10 billion per year instead of the current $40 billion. In terms of command structure and composition, the personnel would be embedded within existing Afghan security forces as advisors and the air-force would drop bombs when directed by the Afghan government. Given the resurgence of Taliban, the nascent ISIS threats, a young state in need of capacity building, and international fatigue to continue expending civil and military resources in Afghanistan, Erik Prince’s proposal perhaps sounds reasonable. PMCs such as the now-defunct Executive Outcomes — the parent company of Specialized Tasks, Training, Equipment and Protection (STTEP) — led by former South African National Defense Forces’ personnel, have helped defeat Boko Haram in Nigeria. The STTEP used a strategy of “relentless pursuit,” whereby local trackers call in a “fire force” of airborne Special Forces and ground-attack aircraft (a tactic developed in the Rhodesian Bush War) to envelope and destroy Boko Haram forces. This is a tactic that Blackwater may try to utilize, given the types of aircraft and the iPhone app Safe Strike that it proposes to field in combination. Despite these advantages, the success of relying on PMCs remains uncertain. According to Laura Dickinson, a former Special Counsel to the General Counsel of the U.S. Department of Defense, it is difficult to adequately monitor and evaluate the performance of PMC personnel in war-zones. As we know from Iraq’s experience, they are not bound by rules of engagement that adhere to the principles and laws of war mandated by national legislation and Geneva Conventions. In the Afghan context, their failure to comply with such laws could further victimize innocent Afghans, who have already borne the brunt of imposed conflicts for the past four decades. Rather than protecting this vulnerable population, missteps by PMC personnel could alienate Afghans and consequently expose the United States to litigation from aggrieved victims. Second, the command and control of PMC personnel within and across firms are not clearly delineated and synergized, nor are their roles, specifically whether to engage in offensive combat or act only in self-defense. Third, hidden costs from PMCs unable to fulfill their obligations have provided massive cost overruns in the past. A fourth problem with the use of PMCs is that it directly undermines the core objective of the U.S. and NATO: to help build a sovereign, democratic and stable Afghanistan. 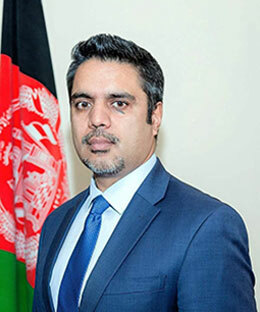 From years of bitter experience, Afghan politicians know that the Afghan people are tired of war and desire peace. The generation that has come of age since 2001 is deeply invested in the new Afghanistan, whether as government administrators and businessmen or peaceful protesters, who abjure violence. However, using embedded PMC personnel would hinder the development of cohesive Afghan security forces, which can both deter terrorists and sensitively respond to peaceful gatherings. Also, it would undermine and spoil peace efforts to end war through a negotiated political settlement by introducing a new player, the PMC commander, whose corporate interests would dictate a continued presence rather than conflict resolution. In this vein, Rebecca Zimmerman of the RAND Corporation notes that PMCs acquire contracts to provide inputs calculated as numbers of individuals in particular areas or outputs centered on situation reports submitted by personnel. Broad policy goals, like actually winning the war, cannot be contracted. Aside from these hidden challenges posed by PMCs, the core issue that cannot be resolved by PMCs, despite Prince’s self-conception as a modern British Viceroy representing the East India Company, is state-building in Afghanistan. State institutions like the bureaucracy and the judiciary take years to construct and require both flexibility and broad public legitimacy to survive. Private entities cannot construct state institutions in a humane, timely and cost-effective fashion; especially on behalf of foreign governments, as evidenced by the East India Company’s own history. The Company’s tax collection efforts created the Bengal Famine of 1770, which killed a third of the province’s population, decreased labor supply and sent the Company into further debt. It faced bankruptcy and required special subsidies from the British government, including the Tea Act of 1773 that precipitated the Boston Tea Party by aggrieved American merchants. Politically, the East India Company’s relationship with the British government required two acts of parliament in 1773 and 1784, which ultimately subordinated the Company’s political activities to the Board of Control presided by a cabinet-level civil servant, the Secretary of State. In spite of various political reorganizations and the creation of a merit-based civil service in 1853, the Company’s aggressive political-military policies sparked the Sepoy Mutiny of 1857, necessitating a massive military intervention by British troops. After this, the British government assumed direct control of India until 1947. In essence, the East India Company required government subsidies, constantly feuded with the home government, contributed to the loss of the 13 American colonies, and had to be militarily bailed out by Britain. 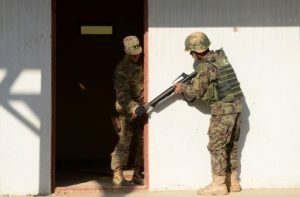 Despite these actual and potential drawbacks, as the U.S. government continues its direct military involvement to support Afghanistan, PMCs can complement its role in clearly defined tasks with strict oversight, from securing vulnerable populations to training Afghan soldiers. By doing so, they can contribute to long-term peace and stability. Senator John McCain, Chairman of the U.S. Senate Armed Services Committee, has already presented such a strategy, which requires more U.S. troops for counter-terrorism missions, increased air support, and greater freedom to strike targets. This policy is distinct from both the Obama administration’s failed surge and withdrawal strategy and Prince’s proposed war by corporate-proxy. An enduring American presence based on the full implementation of Afghanistan-U.S. Strategic Partnership Agreement and Bilateral Security Agreement will strongly reassure the Afghan government and people, as they strive to consolidate their hard-earned gains of the past 16 years. The strengthening of the Afghan state will automatically weaken the will of militants and their regional sponsors to continue waging a war of ruthless killing and destruction. The Afghan people have so far made countless sacrifices, resisting the many pressures imposed by terrorists and their sponsors on Afghanistan, as Afghans hope to achieve sustainable peace and development through continued partnership with the international community. Standing by the Afghan people to see their journey of peace and democracy through should be the way forward against succumbing to forces of evil, tyranny, and oppression. This will globally demonstrate the resolve by the United States and its NATO allies to defeating transnational terrorism and holding accountable, under the United Nations Charter, any state that sponsors terror in Afghanistan. Vasabjit Banerjee is an Assistant Professor of political science at Mississippi State University where he teaches comparative politics and international relations.